It is replaced by the Microscan Mini Hawk. Whether you need fixed or handheld barcode scanners, mobile data terminals, label printers, RFID, verifiers, printer applicators, control boxes, consumables or anything else, visit our Web site. Put all of the functionality of the Quadrus Mini Velocity button to work for you. Quadrus Mini Velocity, Ultra High Density, Q Mode, RS-232 interface. Power supply not included. Quadrus Mini Velocity, Standard Density, Q Mode, RS-232 interface. Power supply not included. Quadrus Mini Velocity, Ultra High Density, RS-232 interface. Power supply not included. 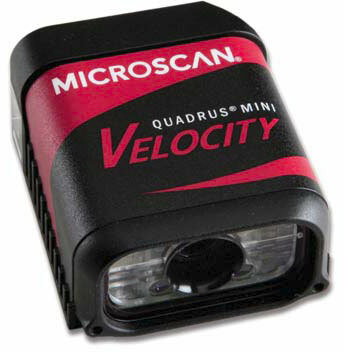 Watch a video showing the Quadrus Mini Velocity and its high-speed reading capabilities.